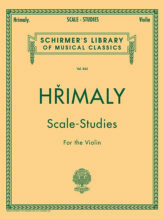 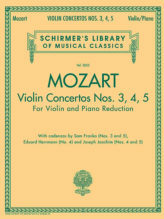 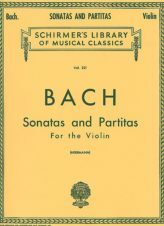 SKU: 50327830 Categories: Violin Music, Solo with Piano acc. 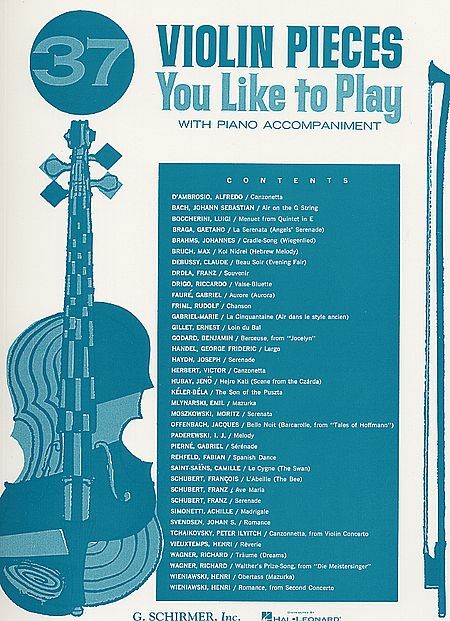 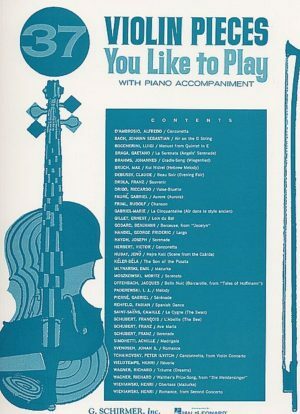 37 Violin Pieces You Like to Play is a great collection of violin solos with piano accompaniment. 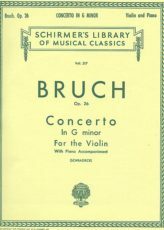 Bach J.S., Béla Kéler, Boccherini L., Braga G., Brahms J., Bruch M, D'Ambrosio A., Debussy C., Drdla F., Drigo R., Fauré G., Friml R., Gabriel-Marie, Gillet E., Godard B., Handel G. F., Haydn J, Herbert V., Moszkowski M., Offenbach J., Paderewski J., Pierné G., Saint-Saëns C., Schubert F., Simonetti A, Svendsen J., Tchaikovsky P., Vieuxtemps H., Wagner R., Wieniawski H.
Bruch Concerto in G Minor for Violin – Schirmer ed.